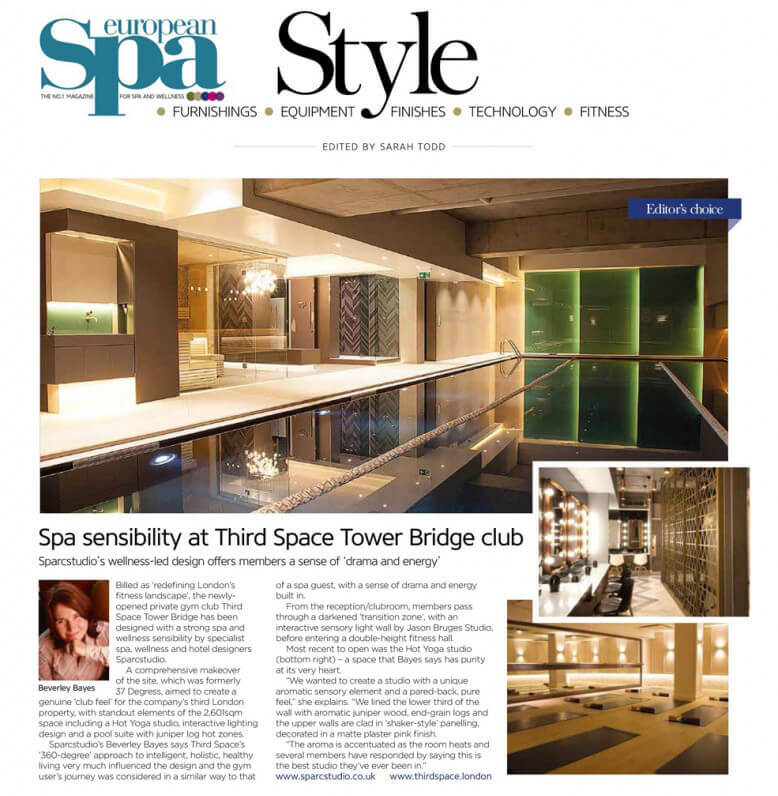 Billed as ‘redefining London’s fitness landscape’, the newly opened private gym club Third Space Tower Bridge has been designed with a strong spa and wellness sensibility by specialist spa, wellness and hotel designers Sparcstudio. A comprehensive makeover of the site, which was formerly 37 Degrees, aimed to create a genuine ‘club feel’ for the company’s third London property, with standout elements of the 2,601sqm space including a Hot Yoga studio, interactive lighting design and a pool suite with juniper log hot zones. Sparcstudio’s Beverley Bayes says Third Space’s ‘360-degree’ approach to intelligent, holistic, healthy living very much influenced the design and the gym user’s journey was considered in a similar way to that of a spa guest, with a sense of drama and energy built in. From the reception/clubroom, members pass through a darkened ‘transition zone’, with an interactive sensory light wall by Jason Bruges Studio, before entering a double-height fitness hall. Most recent to open was the Hot Yoga studio (bottom right) – a space that Bayes says has purity at its very heart.